FairLifts works with a global network of helicopter operators to ensure superior mining operations support in Indiana, securing skilled helicopter assistance for a variety of mining operations. We schedule immediate and affordable helicopter mining operations support to provide access to mining areas and to deliver vital cargo, equipment, and crews. We also arrange emergency helicopter support for life-saving transportation. Additionally, FairLifts will schedule standby helicopters to transport critical machinery and parts when necessary, and to accelerate the transport of valuable mining products to protect these from theft and to safeguard mine production. Indiana, the nation’s eighth-largest producer of coal, extensively mines a variety of resources, including clay, shale and oil shale, as well as, sand, gravel, and crushed stone. In addition, reserves of limestone, peat, marl, and gypsum are also found throughout. Indiana is the second-largest overall consumer of coal in the US and the largest consumer of coal by the industrial sector. Coal is used for electricity generation, with coal-fired power plants producing 87 percent of Indiana’s electricity. As a result, mining operations depend on helicopter support for surveying, lifts, crew deployment and emergency transport. In Indiana, helicopter mining operations require a variety of support services, including mine rehabilitation and reseeding, mining and drill rig support, mineral exploration and mapping, and crew transportation. 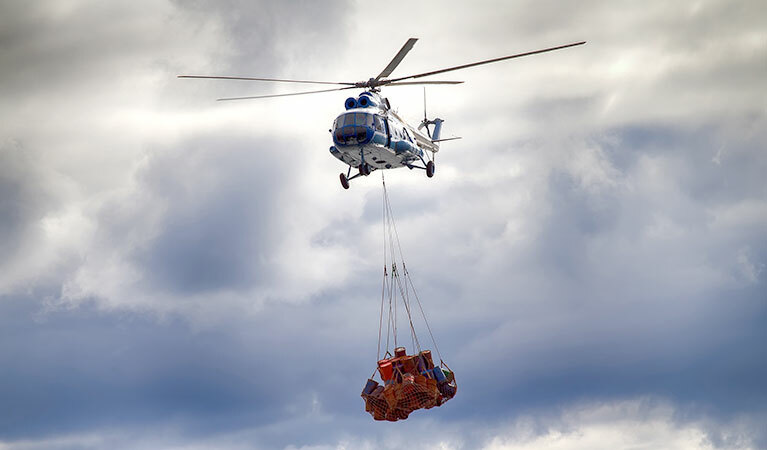 Helicopter mining operations support allows supplies and production to be transported quickly on board or with the use of a sling. FairLifts arranges helicopters for mining and drill rig support, delivering drills by light to intermediate lift helicopters to mining sites. Our global network of operators provides expert pilots with certified equipment for effective and affordable drill rig support, guaranteeing loads are transported and received securely and swiftly. FairLifts arranges helicopters for mineral exploration and mapping using high-frequency electromagnetic sensing techniques intended to detect geological areas that may have valuable minerals. 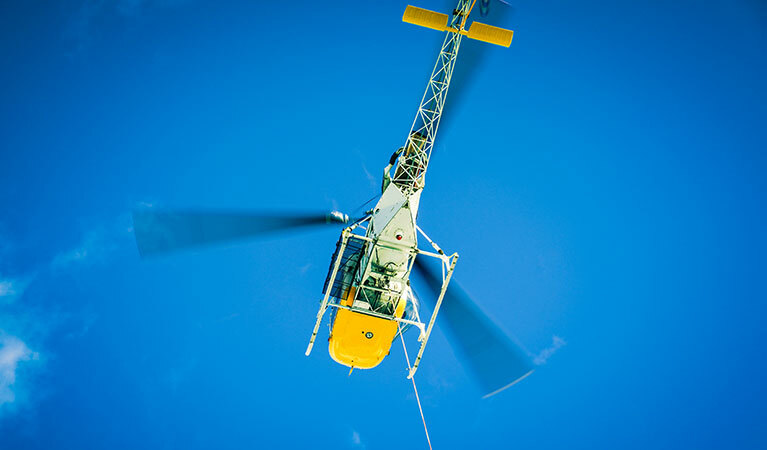 Our global network of operators provides helicopters that are capable of flying at low altitudes to accurately produce an overview survey map of the area. FairLifts arranges helicopters for mine rehabilitation and reseeding, allowing seed to be distributed evenly over rolling terrain, ensuring outstanding results. Our global network of operators provides specialized pilots for defined and affordable aerial seeding to safeguard the rehabilitation of mine sites where topsoil has been stripped, stockpiled, and replaced. FairLifts arranges helicopters for regular and unscheduled crew transport during shift deployment, drilling operations, and emergency situations to and from remote mining sites. Our global network of operators ensures professional pilots, superior aircraft and trained medical staff for immediate and dependable staff transportation and assistance. 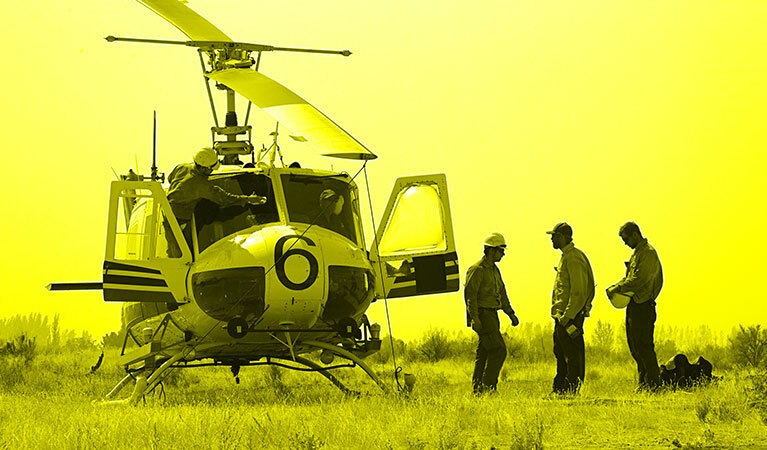 Helicopter mining operations support also expedites flood and wildfire surveys, as well as flood and wildfire relief monitoring, pipeline patrols, well checks, pipeline and wellhead monitoring, maintenance surveys and patrols for pipelines, power lines, and remote infrastructure and facilities. Helicopter support also assists weed spotting and surveying, aerial spraying for weed control, monitoring and surveying of dangerous animals, mustering, and dangerous animal control including culling.